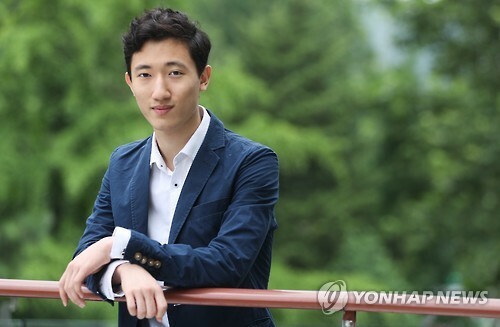 SEOUL, Jan. 11 (Yonhap) — Jun Joon-hyuk will join Britain’s Royal Ballet in August, becoming the first Korean ballerino to become a member of the prestigious group of dancers, he said Wednesday. He will join in late August, about a month after he graduates from the Royal Ballet School in July. Jun will be the second Korean to be accepted by one of the three renowned classical ballet companies in the world after Japanese-Korean Choi Yoo-hee, a first soloist, who has been with the company since 2003. He will be the company’s first Korean ballerino. The Royal Ballet, founded in 1931, is internationally renowned, along with the Paris Opera Ballet and American Ballet Theater (ABT). Jun’s desire to be with the Royal Ballet was so strong that he previously turned down a job offer from the ABT. He expressed his hope to be the principal dancer of the company someday, although he is to begin his career as an “artist,” the lowest of all grades for ballet dancers. Jun studied at the Korea National Institute for the Gifted in Arts and was chosen as a full scholarship student by the Royal Ballet School in March 2014 to become the first Asian to do so. Last year, he performed in “The Nutcracker” of the Royal Ballet Company. It was rare for a student to participate in such a big show. Only a few of the very best students, two or three in total, are known to be accepted by the Royal Ballet. In April, he won the top prize at the Youth America Grand Prix, a globally renowned student dance competition, to become the third Korean to achieve the top honor after Seo Hee and Kim Ki-min. Ballerino Jun Joon-hyuk poses for a photo prior to an interview with Yonhap News Agency in Seoul on July 18, 2016.